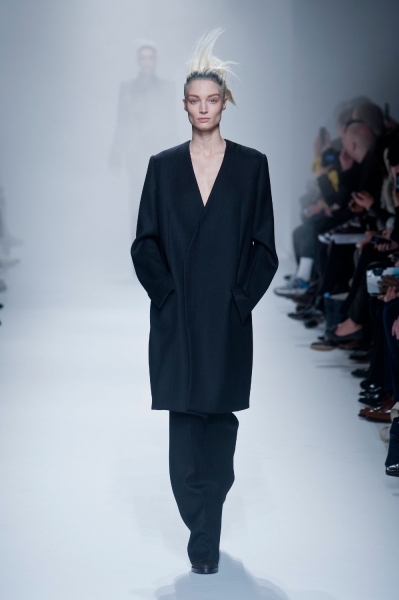 There are few words powerful enough to properly describe the aesthetic, power, and presence of a designer like Haider Ackermann. Often admired for his talent of creating harmony through contrasting elements of medium, inspiration, era, and even social class; Ackermann has even been compared to the late and legendary Yves Saint Laurent himself, who did much the same during his time. 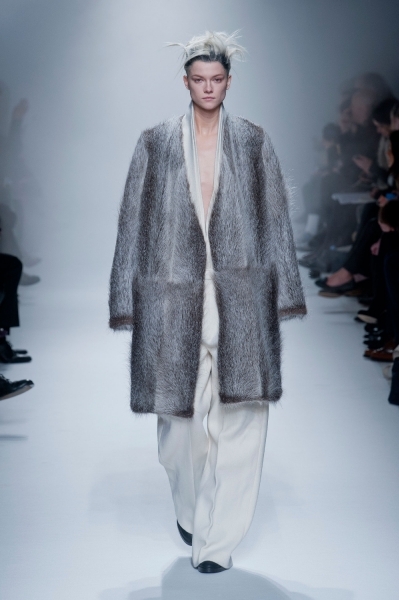 He is regarded as one of the most notable and interesting designers to ever emerge out of France; debuting his first Collection to significant praise in 2001, having even been approached by powerhouse mavens the likes of Karl Lagerfeld (Chanel), Margiela, and Dior. 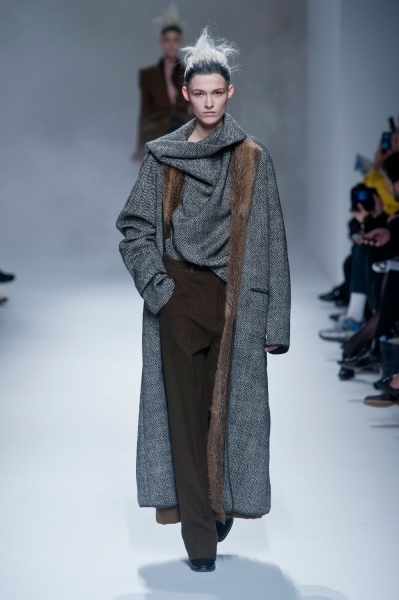 This year at Paris Fashion Week, Haider Ackermann presented his brilliant Winter 2013 Collection following the same vein of power and presence in the industry. A beautiful, slick palette of Winter greys, charcoal blacks, shiny leathers, and gunmetal elements dominated the aesthetic. It was architectural, stark, and brilliantly composed through variations of textural layering, contrasting prints, and large, billowing, and flowing forms. As usual, I absolutely adore the wrap forms. The hottest trend this Season is in full swing and I couldn't be happier! 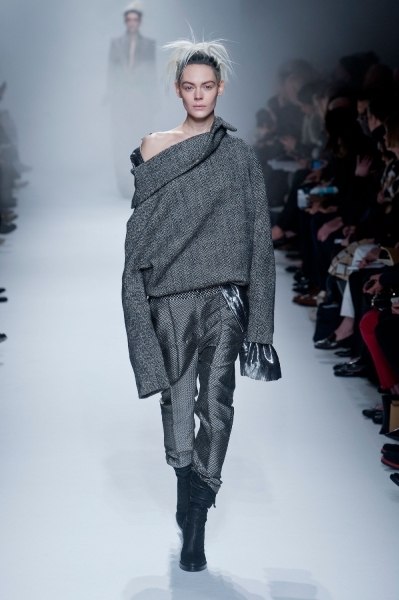 The draping knitwear is so tundra meets glam, and so super chic in a really lax way. It takes street wear into high fashion territory and is a celebration of the coolest silhouette of the year - over-sized, over-shaped torsos with those fantastic long and lean legs. A retro nod to an 80's-era fabulous while maintaining the urban, modern, youthful street style that is so trendy into today's evolving Runway scene. 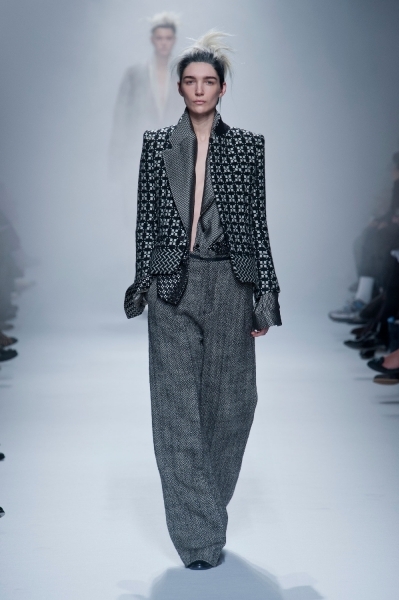 Androgynous, baggy, masculine-inspired suit pants ground some of Ackermann's strongest forms; accented by easily the most powerfully cut coats this season. A masterfully composed presentation!